A signal that anticipates insurgent violence skyrockets. 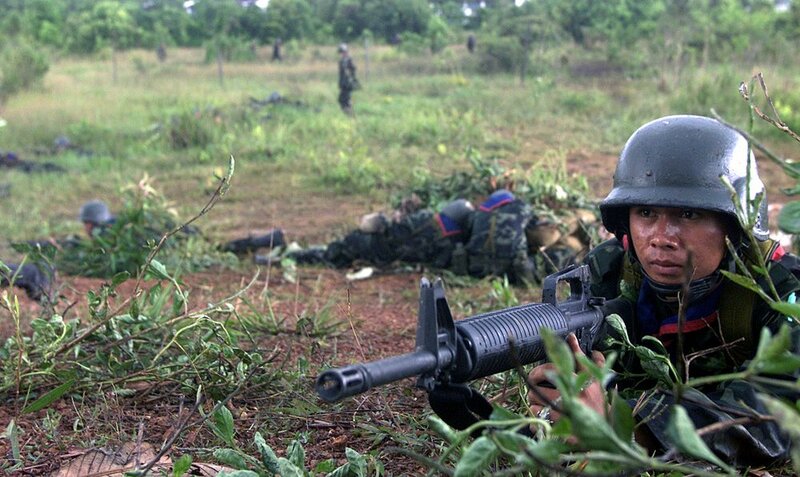 A separatist war continues to simmer in Thailand’s three southernmost provinces -- Pattani, Yala, and Narathiwat. The Muslim Malay majority in the region has been demanding local autonomy from Bangkok for almost two decades. Several high-profile bombings occurred in the first half of 2018, but the deployment of extra Thai military soldiers and a new, more conciliatory approach by their commander may have tempered the violence. 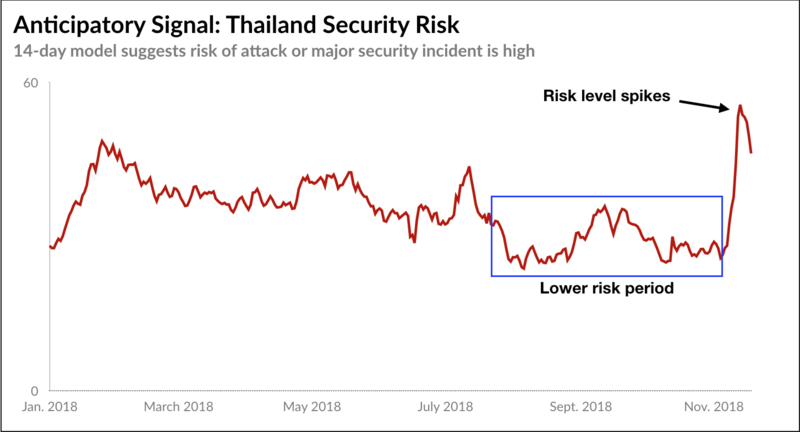 Now, a Predata signal that anticipates major security incidents in Thailand, such as high-casualty separatist attacks and acts of terrorism, has spiked to its highest level since early 2017. That last spike occurred right before an especially intense period of insurgent violence, when multiple bombings rocked southern towns and Bangkok.